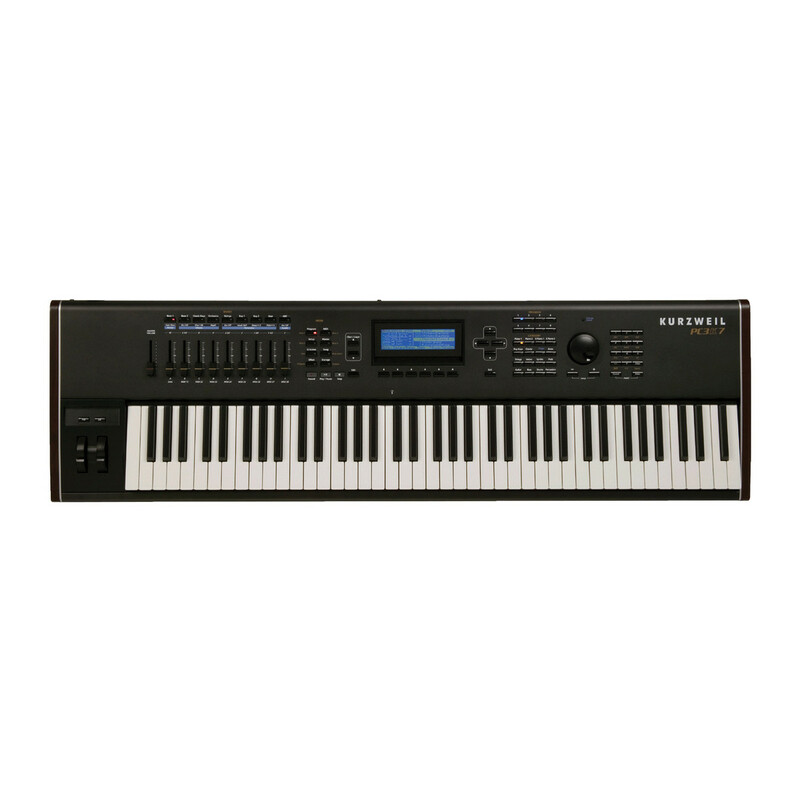 The Kurzweil PC3K7 combines a flexible synthesis architecture with huge effects processing power. The Kurzweil PC3K is the pinnacle of the PC3 line, bridging the gap between Kurzweil's past successes and present innovations. 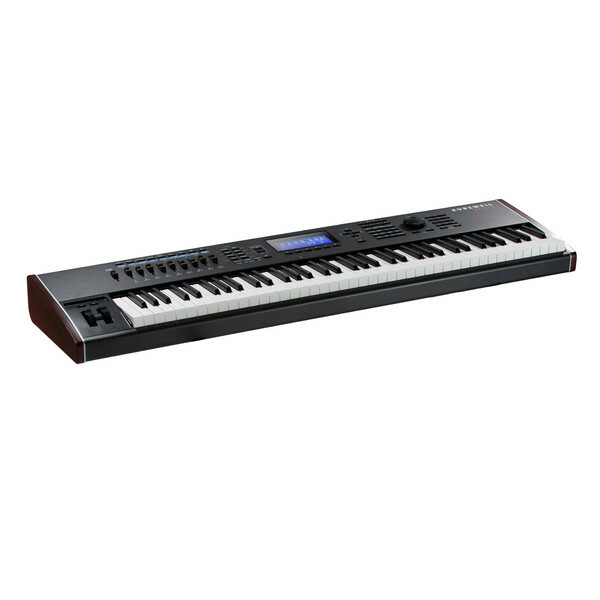 The Kurzweil PC3K gives you access to all of the impressive PC3 sounds as well as the legendary K sounds. 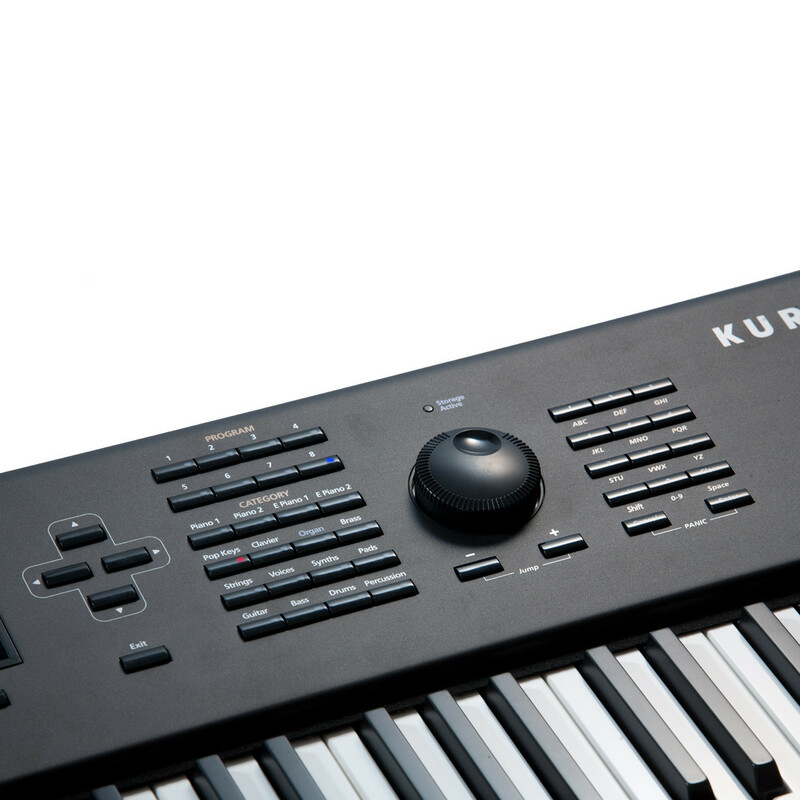 Capable of loading .KRZ/25/26 sample files, WAVE and AIFF files, as well as most of the K Series programs and setups, the PC3K7 presents a whole new world of choices to players. You can choose to delve into the extensive libraries of existing K Series samples or decide to fill the PC3K's flash memory with your own signature samples. 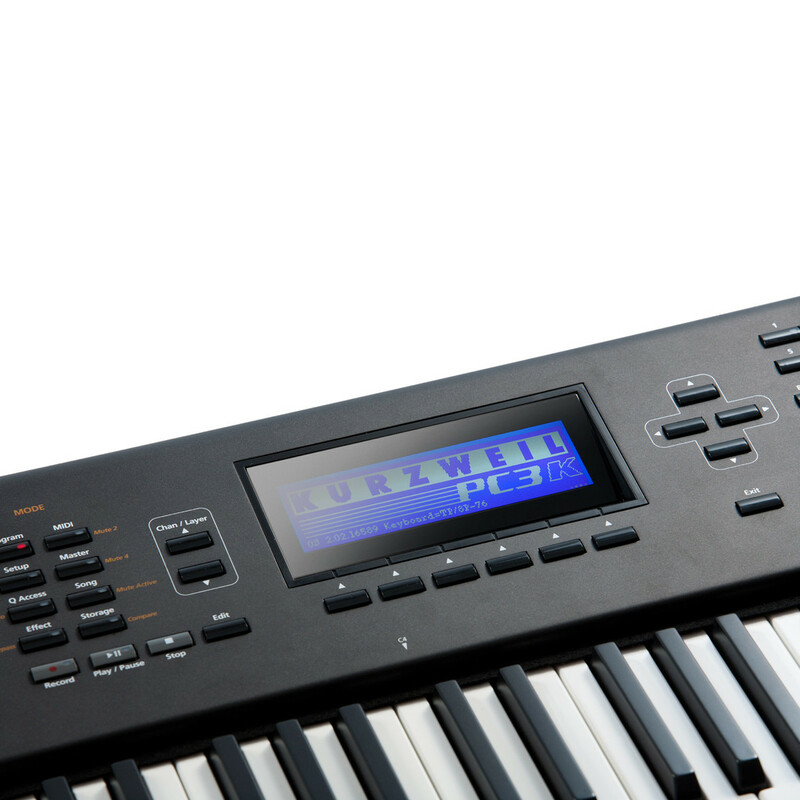 In either case, you'll have the most powerful version of Kurzweil's V.A.S.T technology ever developed at your fingertips to help sculpt your sounds and attain a level of detail and expressiveness truly worthy of your music. Sample files can be loaded via USB from a thumb-drive or directly from a computer. the PC3K offers 128 megabytes of user sample memory and compatibility with K Series files, while also taking an enormous leap forward by allowing user samples to remain intact while power is off. Once samples are loaded into the PC3K's flash memory, there is zero load time for those samples when powering on the instrument. 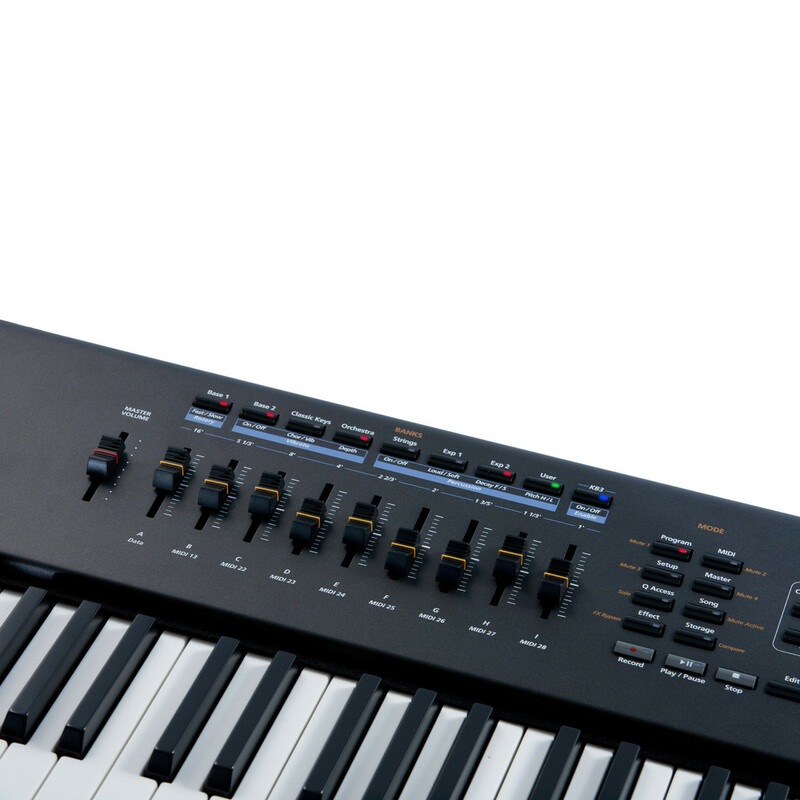 Under the hood of the PC3X is the most powerful synthesis engine ever created by Kurzweil. Dynamic V.A.S.T. picks up where the K series left off. Having up to 32 layers per program means that emulations of real instruments can be extremely detailed and accurate, while the synthesized sounds can be extraordinarily large and complex. Expanding upon the V.A.S.T. architecture, the PC3X's new architecture delivers more power and flexibility combined with unprecedented ease of use. Users can now create and store their own DSP algorithms, with nearly limitless possibilities for routing. In another huge development, Kurzweil have resurrected the VA-1 Virtual Analog Synthesizer, having built its synthesis engine right into the new system. Hear the VA-1's power-shaped, anti-aliasing oscillators (including supersaw, triplesaw, and hard sync oscillators) combined with a newer, larger set of V.A.S.T. filters (like the classic-style 4pole low pass w/ resonance) and non-linear processors and you'll understand why the internet is buzzing about this feature. To view more videos or listen to demos of the Kurzweil PC3K7 please click here to visit the Kurzweil website. AIFF and WAVE audio files. Power: Internal AC power supply, Selectable 120/240V AC operation.